Dedicated esports company WIN has successfully concluded the debut season of WINNERS League. 720 teams participated in the Counter Strike: Global Offensive competition on the FACEIT platform. These teams were split between an open Starter Division and an elite Invite Division featuring some of the best Counter-Strike talent in Europe. 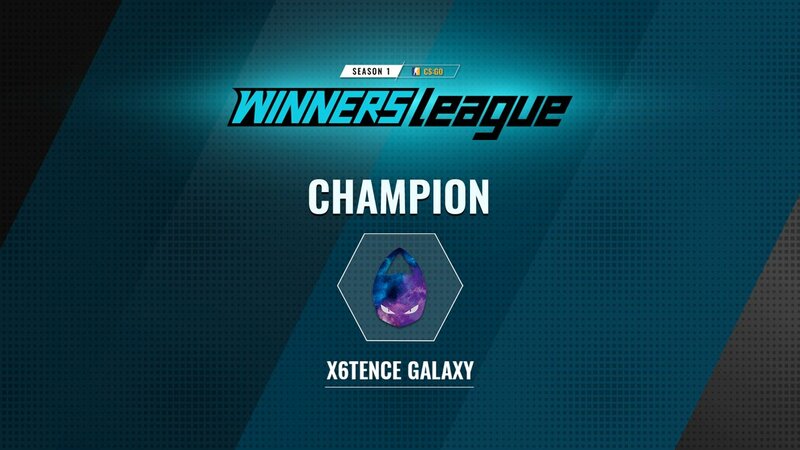 In the Invite Division, Sweden's X6tence Galaxy took home a first-place prize of $7,000 USD, with Bpro Gaming taking second place after a hotly contested final. In the Starter Division, up-and-coming team YetToBeNamers (YTBN) was awarded a $2,000 USD first-place prize. YTBN also secured a spot in the upcoming second season of WINNERS League. Both the Invite and Starter finals went a full three games, a testament to the exciting action featured throughout WINNERS League's debut season. WINNERS League featured more than 20 broadcasts on Twitch during its first season. 4,340 minutes of action were streamed over the course of two and a half months, with 96,109 viewers watching the games unfold. "Our mission is to support amateur and semi-professional esports communities. We want to create achievable goals and incentivize gamers to pursue those goals through our platforms. Through working towards this mission, we hope to become a favorite competitive league for gamers, whether they're competitors or fans. This was our first season and we were thrilled to see so many talented teams competing at a high level. For our upcoming second season, we're excited to announce that we'll be increasing the overall league prize pool and expanding our competition to include North America. I would like to express our deep gratitude to all the teams and players that took part in our league, the fans who watched, and our crew that worked so hard to make it all happen. The best is yet to come, and we hope that you'll join us for the next season and beyond."